In the development and production of drugs to be used as medications, there exist several intricacies in terms of intermediate steps and procedures of preparation. In accordance with these sensitive requirements, MAME is dedicated to providing pharmaceutical clients with the best product possible, in keeping with the highest levels of quality control and maintenance of impeccable standards. Extra attention to purity and safety has been given to the products in the pharmaceutical category, with a clear understanding of the applications. Under the pharmaceutical wing of MAME, we have a select range of the most in-demand products necessary for the functioning of the pharmaceutical industry. In the pharmaceutical industry Sodium citrate is used to control pH. It may be used as an alkalizing agent, buffering agent, emulsifier or as a sequestering agent. Sodium citrate is a sodium salt of citric acid occurring in three possible forms – monosodium citrate, disodium citrate and trisodium citrate. The most common occurrence is in the third form, as trisodium citrate. 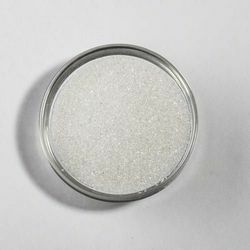 The most popular uses of sodium citrates are its applications as emulsifier, calcium sequestrant, acidity regulator and preservative, each of which is useful to the pharmaceutical industry. The food industry also extensively uses Sodium citrate for gelation, emulsification, and acidity regulation in processes like cheese ripening. The chemical industry employs sodium citrate as a buffer to maintain pH. Pharmaceutical industry: emulsifiers, acidity regulators. Food industry: gelation agents, emulsifiers, acidity regulators. Dextrose anhydrous is used to produce glucose injection, glucose sodium chloride injection, compound sodium lactic glucose injection, etc. As nutrition base dextrose anhydrous is the main material of fermention medium for antibiotic, MSG, vitamin, amino acid, organic acid and enzyme. It is also used raw material of microbial polysaccharide and organic solvent. 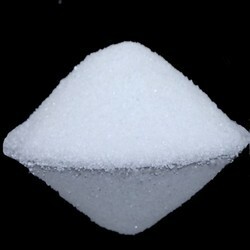 Dextrose or glucose is the smallest building unit, or monomer, of the starch chain of polymers. It is the form of sugar that is generally present in the body. In crystalline form dextrose has multiple uses, as filler for oral dosage or as a sweetener to render other severe tasting medicines edible. Fundamentally, a vitamin is an organic chemical compound. Vitamins are essential for certain body processes. While some vitamins are synthesized within the body, others need to be consumed (via diet or supplements) to maintain regular functioning of the body. In case of deficiencies of any of the vitamins, pharmaceutical supplements are used to prevent development of deficiency disorders, This is the most popular industrial application of vitamins.